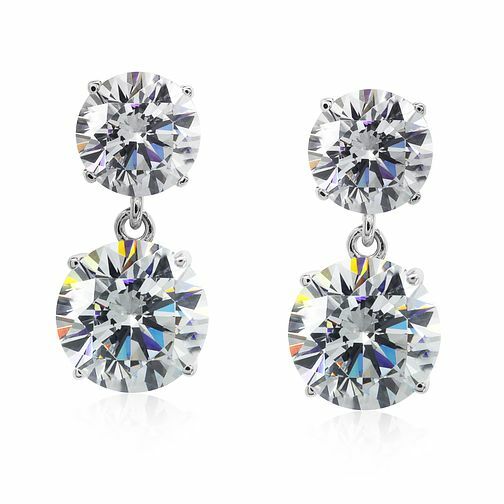 A vintage inspired pair of 9ct white gold drop earrings, featuring two sparkling crystal stones on each earring. CARAT* LONDON* blends timeless glamour with modern day wearability to deliver luxuriously fine jewellery. CARAT* LONDON* is the Official jewellery partner of the British Academy Television Awards and is loved and worn by celebrities worldwide.